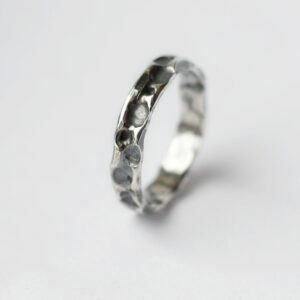 Artisan sterling silver bubble shaped irregular ring for women. 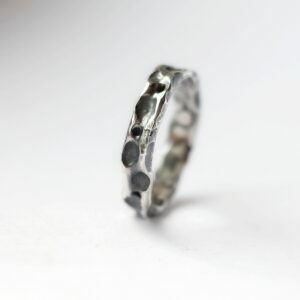 Only the pictured one available. 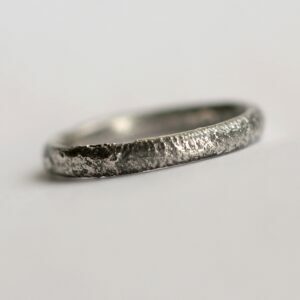 This ring is made by a technique called air chasing. 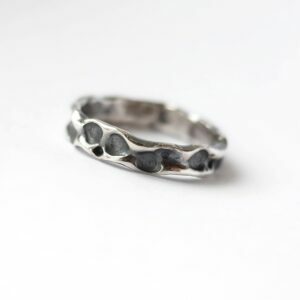 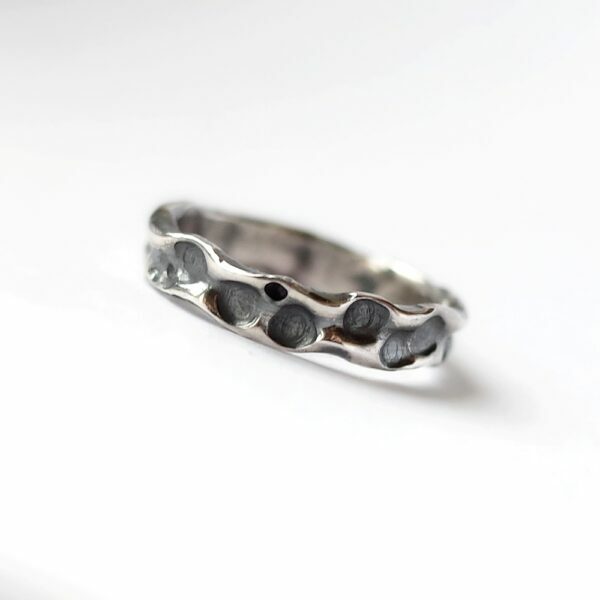 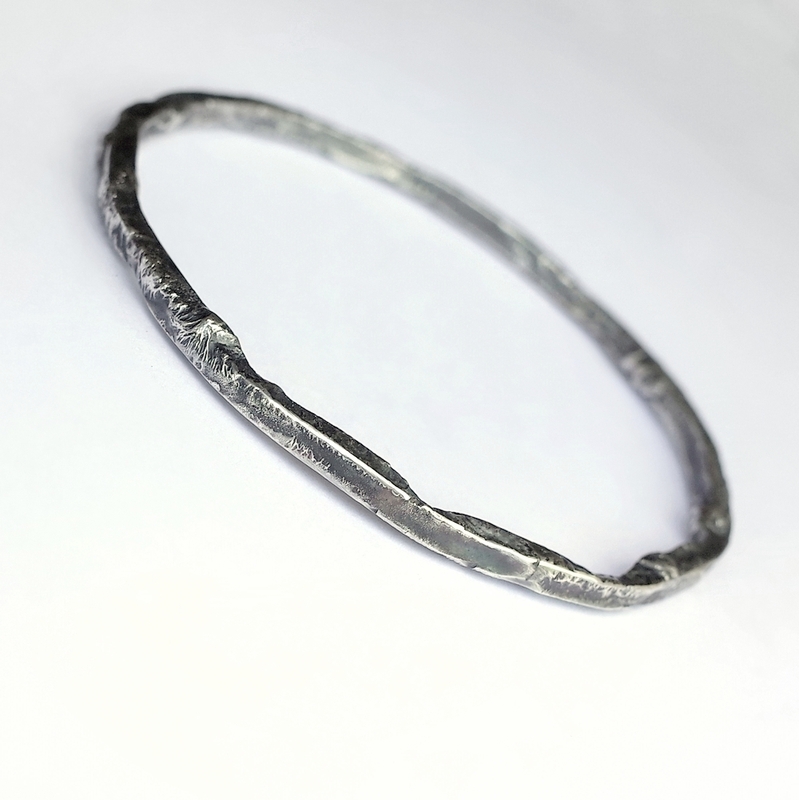 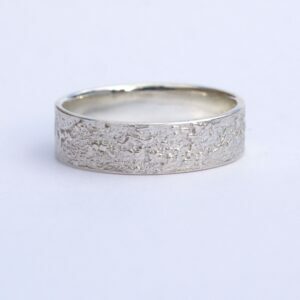 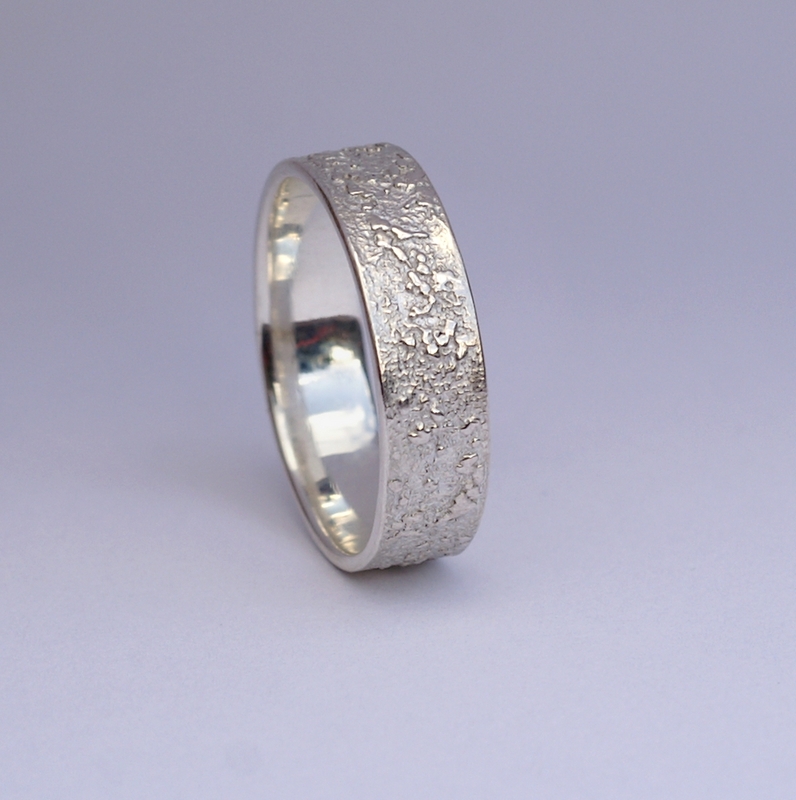 A hammer and various punches are used to shape and texture a sterling silver tube, creating this unique bubble shaped band. 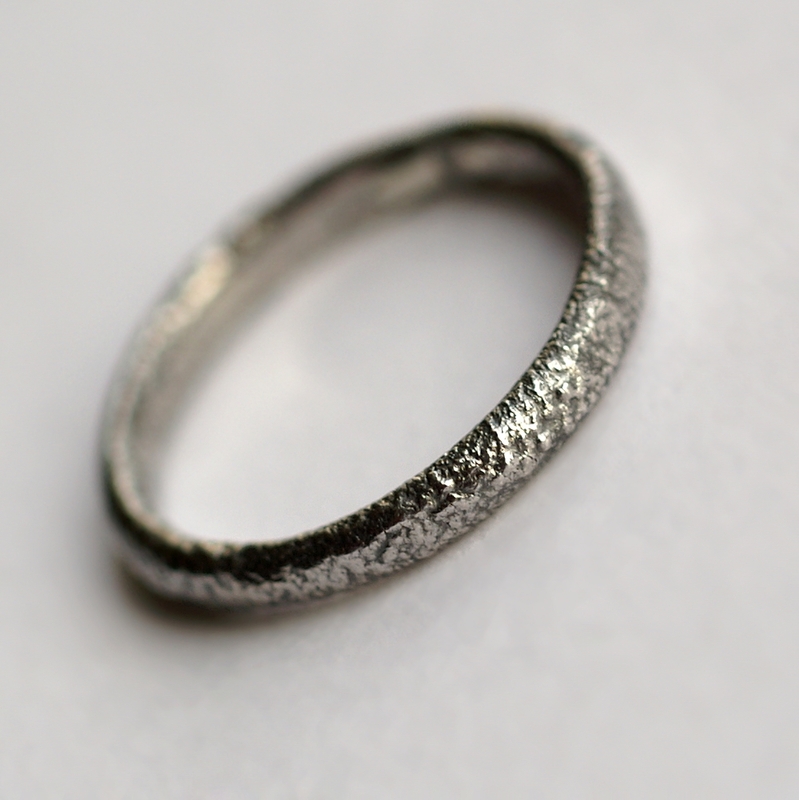 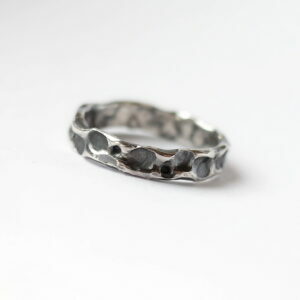 Oxidized and polished to show the highlights, inside of the ring is matte finished and roughly polished.